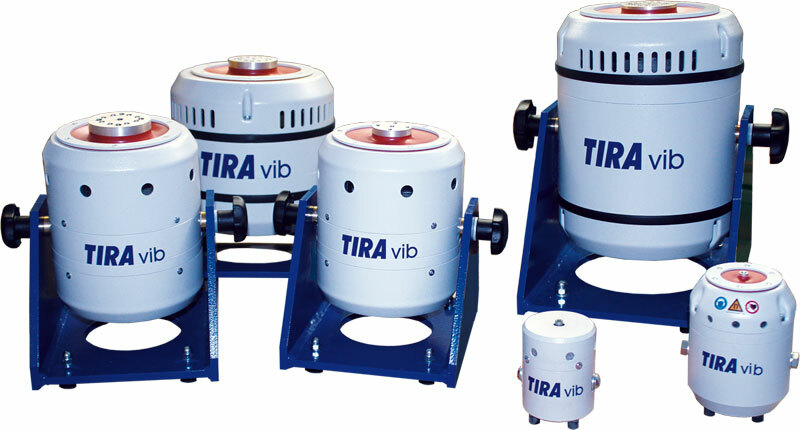 These vibration exciters (also called shakers) use permanent magnets and are available as portable and stationary systems for simulating ambient vibration conditions. Robust design ensures a long service life, and typical applications include structure analysis and testing smaller subassemblies. These shakers are characterized by high lateral and axial stiffness and come in lightweight construction as specified by industrial users. New rare earth magnets have been added to the range of conventional Alnico magnets, reducing weight from 36 kg to 12 kg for easy handling particularly in mobile applications. Our shakers have proven their worth in environmental labs, universities and industrial production lines both for components and calibration. These complete systems enable testing in accordance with national and international standards such as DIN, ISO, BS, MIL, IEC and ASTM.